My birthday this year is on Easter Sunday, April the 21st. I was born on an Easter Sunday in 1946 and my birthday has been on Easter Sunday one other time in 1957 when I was eleven years old. Get this, the next time April 21 is on an Easter Sunday is 2030. Eleven years from now, right? I find that weird, but apparently some kind of sun cycles occur at 11-year intervals every 62 years. Whatever. The End. Earlier this week three special friends came over to play Shanghai to kick off my birthday week, and a fun time of laughter and luck made the time pass too quickly. Congratulations to our winner War Eagle Nan who consistently has good luck, Donna and Robin’s luck was so-so and they were able to pay Nan on the spot, but Pretty had bad luck. Poor Pretty had to venmo her losses to Nan. I was a close second to Nan who graciously forgave my 99 cents since I was the birthday girl after all. 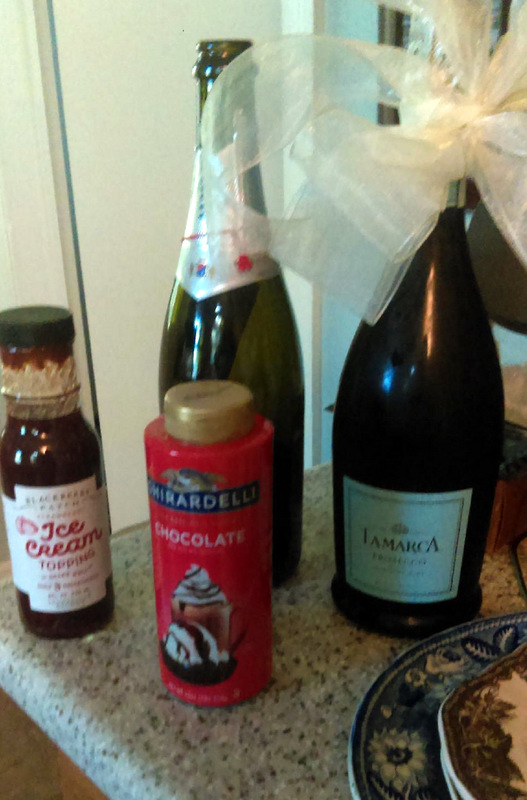 My gifts included two bottles of champagne which are now down to one – we popped the cork and three of us drank one bottle that afternoon. I cannot lie. I was one of the three. I also received a delicious butter pound cake with the two sauces pictured above. Unfortunately, the pound cake was not available for the picture. Again, I cannot lie. Pretty has not had one bite of the pound cake. 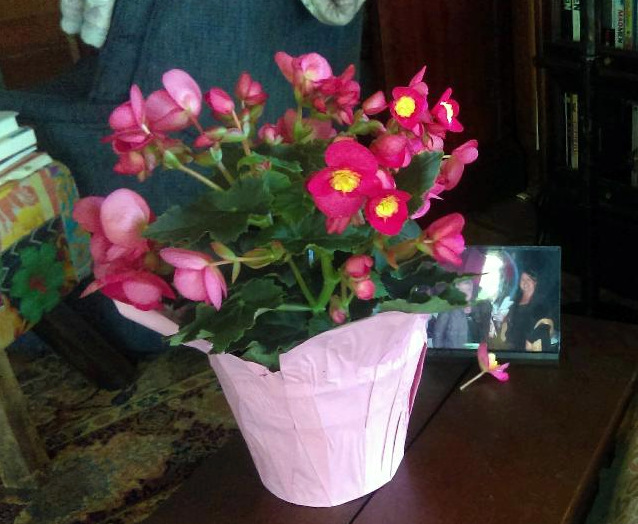 Last, but not least, I also was given this lovely bogonia which has the most beautiful blossom colors – I love them. They remind me of the hope that springs eternal in this season. This Easter and 73rd. birthday I will be with Pretty and other family members in the home that will soon have new sights and sounds with the arrival of a baby daughter in October. Our family will have much to celebrate as we eat the delicious food while we talk books, politics, sports and our new favorite topic: babies. The hope of the resurrection of Jesus in the New Testament is, I believe, the experience of redemption we all are offered every day when we forgive each other our trespasses, speak truth to power and practice kindness as our highest calling. BREAKING NEWS: BABY GIRL OTW! Pretty Two and Number One Son – Pretty Three? Pretty hears the Big News – and is thrilled! Pretty was with our good friend Brenda this week when she found out we are having a granddaughter in October – and Brenda captured her immediate reaction…I love this picture, and I am beyond Thunder Dome excited about the baby girl who will be the center of attention and affection from so many family members. We are also trying out names we want to be called by our granddaughter – that turns out to be more difficult than suggesting names for her. Never fear, we are on it. Any suggestions from our friends in cyberspace? Be happy with our family tonight – life is good. BREAKING NEWS – WOMEN’S HISTORY MONTH MOVES ON TO APRIL! If pictures are worth a thousand words, then you tube videos with the likes of Aretha Franklin and Eurythmics must be worth more than any amount of words available in the English language for me to describe my elation with the election results for mayor last night in our 3rd largest city, Chicago, when Pretty gave me the breaking news. Pretty is my personal Twitter crier. While Chicago captured the biggest news, other election results around the country were also, well, a little bit different. For example, the city of Madison, Wisconsin elected 47-year-old Satya Rhodes-Conway, its second female mayor in history, with 62% of the vote. Mayor-elect Rhodes-Conway became the first openly gay mayor of Madison. The results of the Madison School Board election were to add three more women to the four women currently serving which means all members of the School Board for the city of Madison will be female. Sounds like countless sisters are getting the gavel, and I don’t believe any of them will be afraid to use it. Lawdy, lawdy. I have lived long enough to see the revolution of the sisterhood. Sisters are doin’ it for themselves. Girls do rock after all. Thank you very much, Congresswoman Maxine Waters. Today marks the last day of Women’s History Month, and I’m ending it with a bang – the sound of a gavel struck by a powerful Congresswoman who was celebrated for her service to her country for her many years in Congress as a lawmaker. Whether we are making laws or trying to change them, I believe every woman has a gavel and the right to use it without fear. When we speak up for what we know is right and believe to be true, when we reach out to help others who may not be able to ask for our help, when we take a stand against injustice in any form – we honor the memories of the women who came before us and rightly celebrate the women of today and tomorrow…not just during Women’s History Month but every day. I wrote this piece on March 08, 2017 and feel it’s worthy of inclusion in my Women’s History Month this year. I hope you agree. Spring, 2017 will be the year I move on to my 71st birthday. I know, I know…unbelievable…and apparently my Mouth Almighty, Tongue Everlasting in my seventies shows no sign of a slowdown – if anything I seem to have gained speed with my posts following the not-too-distant sixties. As I looked over the more than 80 posts I’ve made since April, 2016 when I began this year by talking about the need for a personal tune-up, I am amazed at how many opinions I’ve had on such a wide variety of topics. Geez Louise. Somebody stop me. I can’t shut up. Case in point, read on. Change is in the air at Casa de Canterbury this spring, and Pretty and I are excited about our trip to New Orleans for the Saints and Sinners Literary Festival March 24th. – 26th. I’ve been invited to participate on a panel called Home is Where the Art Is, or is it? Plus I will do a reading from my short story that will be included in their 2017 anthology. I’m super thrilled. Today I was cleaning out my extensive collection of family memorabilia which always reminds me of my need to let these pictures and items go – just let them go. They take up space needed for…what? Office supplies. Packing materials. Unsold books. Carolina Panthers commemorative coins. Five years of tax returns. Old cameras. 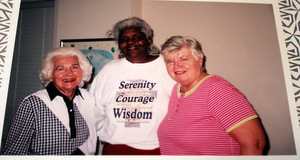 This is one of the pictures I found – I totally lost it when I saw the image of these two significant women in my life before their respective illnesses took them to a different place. This picture was taken in 2007 during a visit with my mothers for both of their birthdays in March of that year. Five years later in the spring of 2012, Willie died on April 14th. and Selma followed her eleven days afterwards on the 25th. Wham, bam…gone. Were they ready to go? Of course. Had they suffered long enough? Surely. But the loss of two women who had such monumental influence in my life was devastating. I felt like my connection to what had been my home was broken and couldn’t be fixed. In reality and from the perspective of five years down the road from that awful place, the connection to home and family isn’t really lost. Powerful images of the people in my past live on today and remind me of what is most important for the future. Today is International Women’s Day, a special time to honor the women we cherish, a day of reminder that our world would be very different without the women in our lives; it’s a woman’s day away from the ordinary.We are lucky because they’ll only be gone for one day and will be back with us tomorrow. Pretty, the adventure continues, and I thank you for the home we share and the knowledge that you’ll be here tomorrow morning when we start another day together. For the rest of my women friends and followers in cyberspace, celebrate yourselves today. You are enough. Much has been said about the new look of Congress as the halls of our nation’s highest legislative chambers began to swarm with new members who were sworn in and trying to find their offices during the first week of January, 2019. Like wow look how many women are moving in this year (117 women elected or appointed — 102 in the House and 10 in the Senate), like wow is this some kind of record number for women (it is – the highest number of women before was 89 in 2016), like wow this makes me so frigging happy (this last one was said by me). 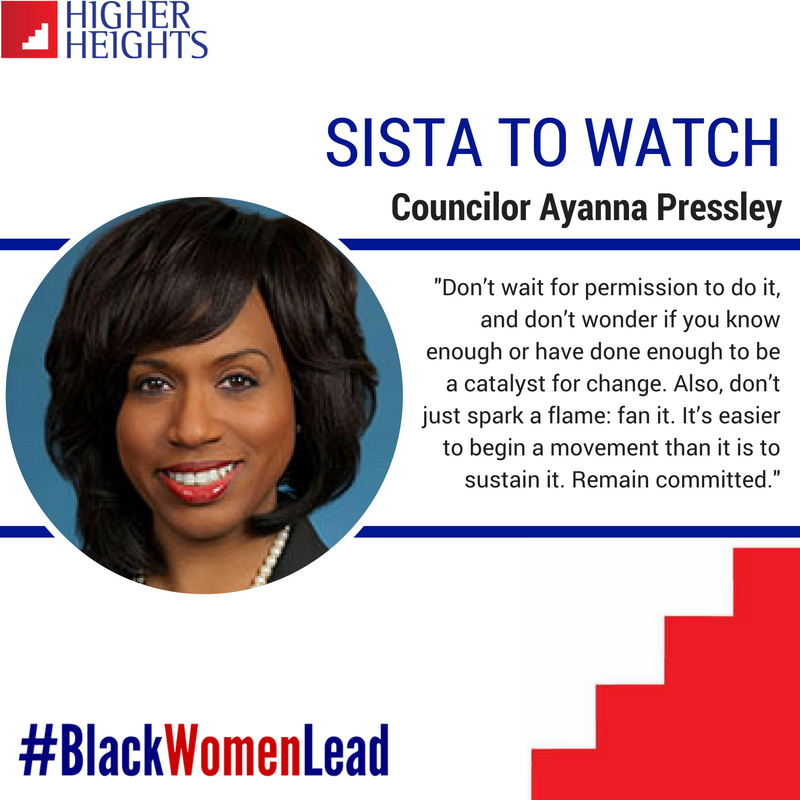 Rep. Ayanna Pressley was the first black woman elected from the State of Massachusetts and had hoped to be assigned to Shirley Chisholm’s (first black woman elected to Congress in 1968) old office. 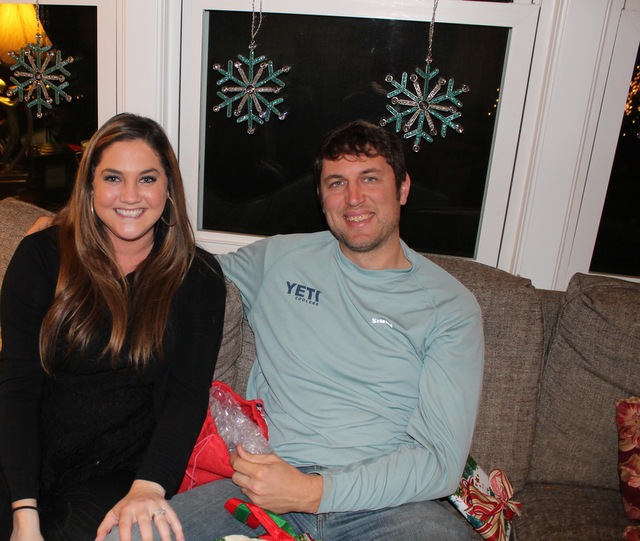 The office assignments were done by a lotto system with Pressley drawing #38 which meant she had little opportunity to choose the office she wanted. However, luck wasn’t totally against her because another incoming freshman Rep Katie Hill (D – Cal) drew lucky #7 and switched with Pressley. Rep. Pressley moved in to Longworth 1130, Chisholm’s old office, while Rep. Hill was just down the hall in 1108. During her 2018 campaign, then candidate Pressley often wore a $6 lapel button with the letters BYOC stamped on it. 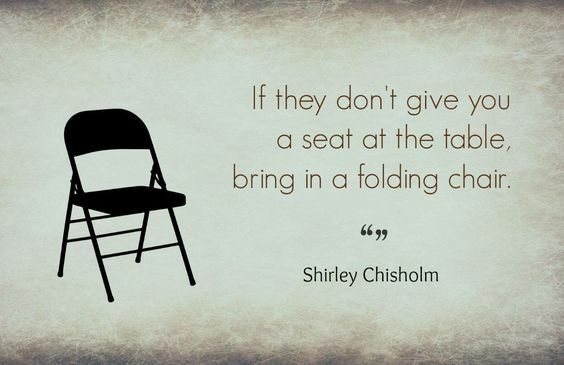 BYOC – bring your own chair – a reminder of the faith and commitment of Shirley Chisholm, the daughter of immigrants, in the American political system and the democratic process. Both Reps. Pressley and Chisholm shared similar fights in their efforts to become elected to the House of Representatives. Chisholm who served in the House from 1969 – 1983 ran on the slogan “Unbought and Unbossed” as she defeated two other black candidates in the primary for the redrawn 12th District of New York in 1968. Against all odds Ms. Chisholm then defeated James L. Farmer, Jr. in the general election. Farmer, the former director of the Congress for Racial Equality, ran as a Libertarian. Fifty years later in 2018 Candidate Pressley defeated ten-term incumbent Michael Capuano in the Democratic primary of the Massachusetts 7th. Congressional District, a district where the majority was not white. The 7th. District had been represented in the past by such Democratic legends as former President John F. Kennedy and Speaker of the House Tip O’Neill. 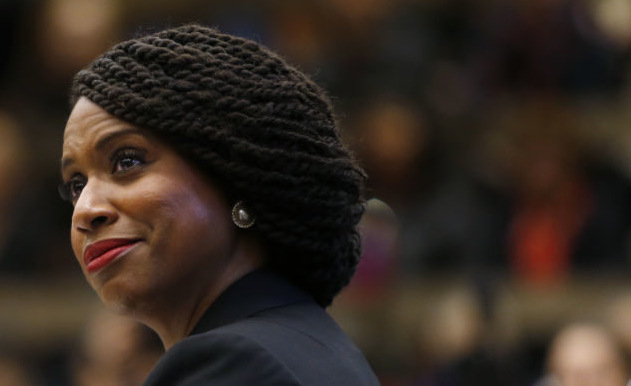 Interestingly, contemporary icons of the black caucus in the House, Rep. John Lewis (D – Ga) and Rep. Maxine Waters (D – Cal), did not support Ayanna Pressley in her challenge to Congressman Capuano. No Republican ran against Ms. Pressley in the general election so her win in the primary assured her victory which sent her to the House to become a member of the history-making group of women elected to Congress in 2018. This was a quote taken from Shirley Chisholm’s announcement to enter the 1972 Democratic Presidential Primary as the first black woman to run for president in a major political party. Although she was unsuccessful in her bid, her courage planted a seed of belief that women deserved a place at the proverbial table. That belief continued to grow as more and more women of all shapes, colors, religious faiths, cultures, sexual orientation, ethnicity, political affiliations – women in all areas of the country ran for local, state and national elections during the next fifty years. This past weekend I heard Rep. Pressley in an interview with Lawrence O’Donnell on MSNBC. I had heard her being interviewed before, but this one felt different for me. She had been invited to talk about her proposed amendment on a House bill to lower the voting age to 16. 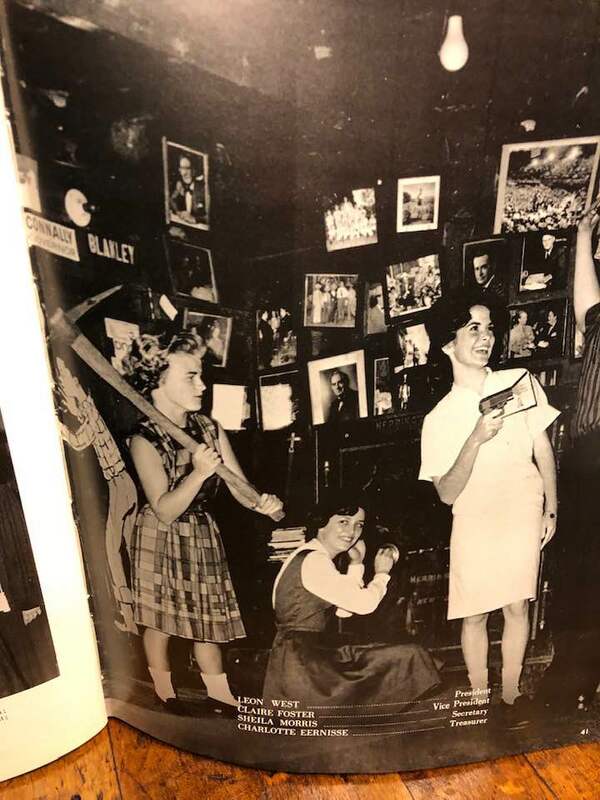 I confess I hadn’t really given a thought to lowering the voting age, but I have to say Congresswoman Pressley’s passion and rationale for Age 16 voting were impressive. The amendment had failed but she had convinced 122 other members to sign on – and had also received the support of Speaker Pelosi, which I assume for a freshman must be like having a coach pick you to play for your team during March Madness. My ability to predict the future, let alone anyone’s political future, is notably suspect. However, I told Pretty the next morning I had just heard the first woman of color to be elected President of the United States talking with Lawrence O’Donnell. Forgive me, Senator Harris. I’m hoping I’m wrong. I celebrate Representative Ayanna Pressley in Women’s History Month and have added her to my list of sheroes – a list that already included Shirley Chisholm. The time for change is upon us. We must have old memories and young hopes. And oh yes, by the way, I am now convinced 16 years is the perfect age for voting in these times when young people lead the way with their hopes for a better tomorrow. 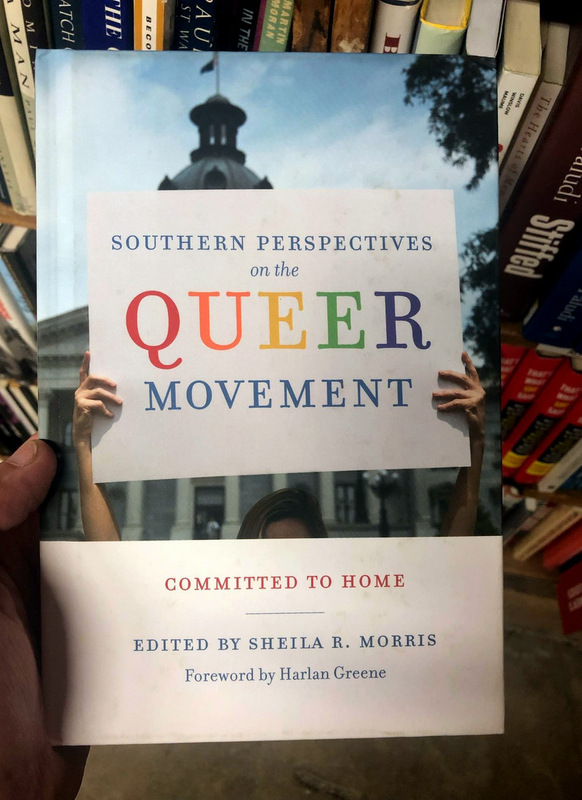 A politician/philanthropist from Faith, North Carolina who settled in Charleston; an attorney who moved to Columbia from Key West, Florida; a midlands YWCA executive director from Detroit, Michigan — three women whose different, yet similar, stories were chronicled in Southern Perspectives on the Queer Movement: Committed to Home. 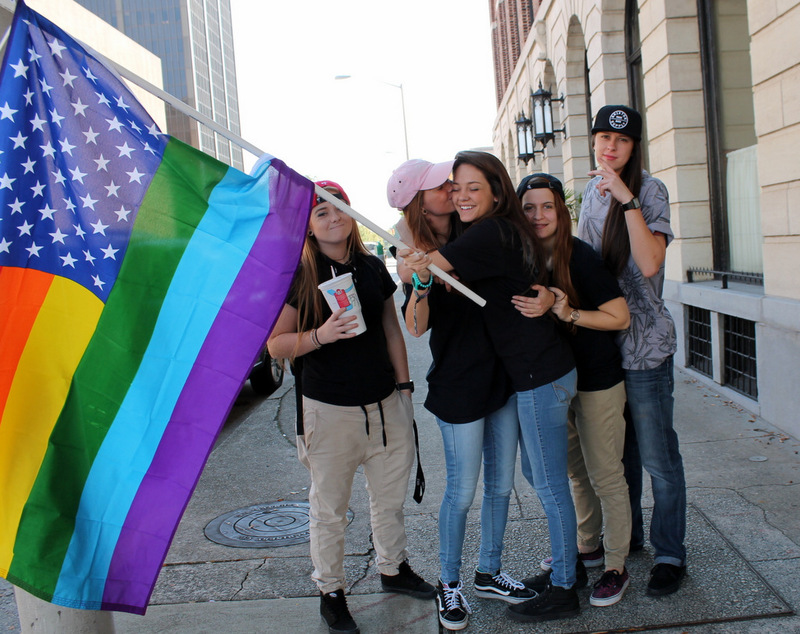 I celebrate these women today during Women’s History Month because they all overcame a youthful sense of isolation and fear of discovery to become leaders of the LGBTQ movement in South Carolina. Regardless of their diverse backgrounds that brought them to our state or the different motivations that inspired them, these women stood on the battleground of equality and refused to surrender. 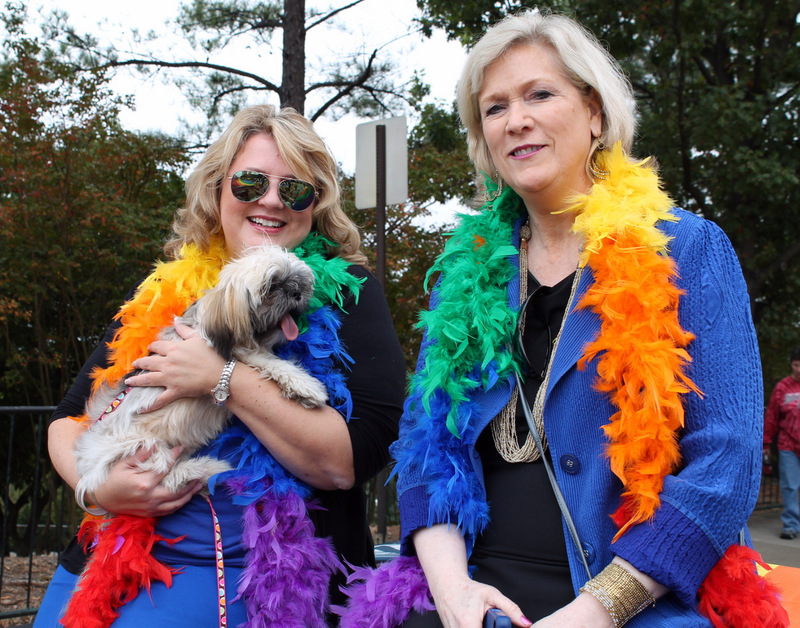 Linda Ketner was the first openly gay candidate for federal office in South Carolina. As the 2008 Democratic nominee for the US Congress, District 1, she won more than 48% of the vote, narrowly losing to a four-term incumbent in a district held by Republicans since 1980. 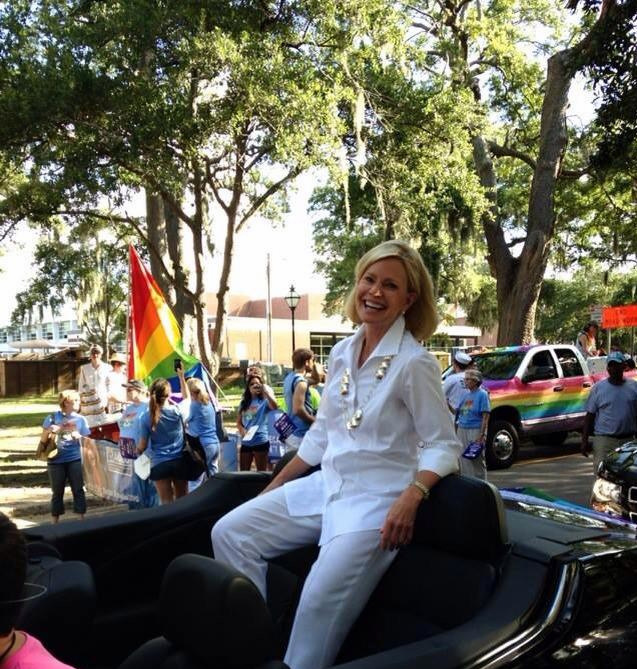 Linda’s fearless leadership in forming organizations such as the Alliance for Full Acceptance and South Carolina Equality plus her generous financial support of individuals and other organizations within the LGBTQ community have cemented her place in our history. Nekki Shutt was born in Honolulu, Hawaii into a military family that traveled in eight states before she graduated from Key West High School in Florida. She moved to South Carolina in 1986 to finish her undergraduate degree at the University of South Carolina where she also finished law school in 1995. 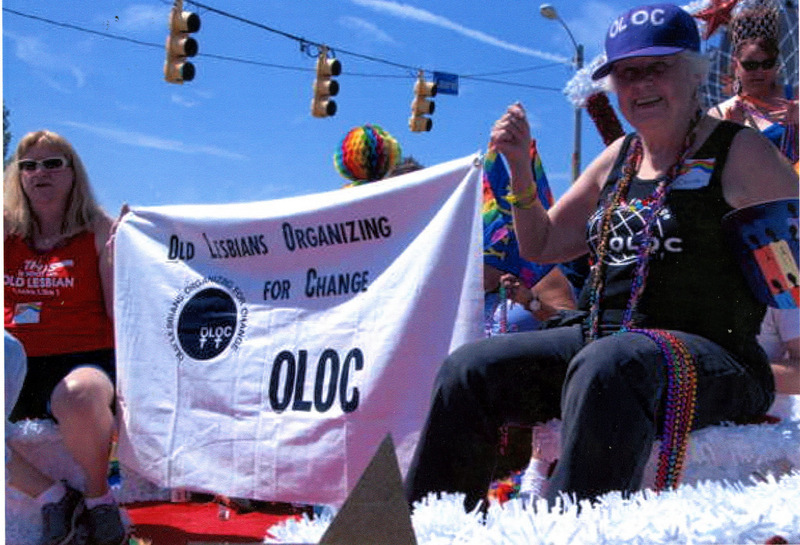 Nekki served on the national board of the Gay and Lesbian Victory Fund and co-chaired the board from 1998 – 2000. 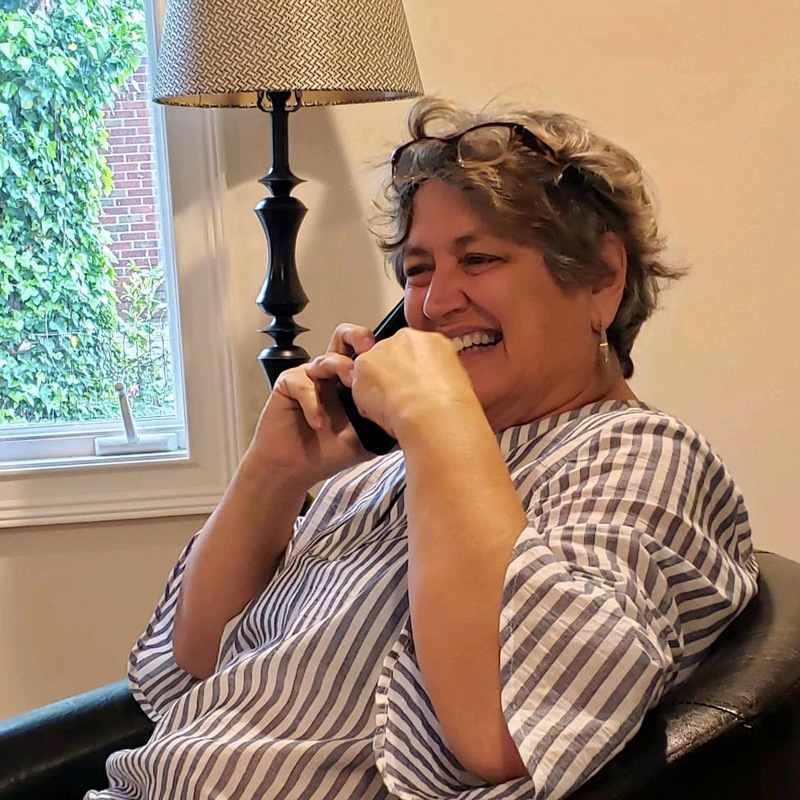 She helped to found South Carolina Equality, served as its first board chair and was involved in leadership roles in a number of other community organizations. She was, and continues to be, a warrior woman. Carole Stoneking (1937 – 2016) was born and raised in Michigan with an undergraduate degree from Wayne State University in Detroit. She worked for twenty-seven years for the YWCA and came to Columbia as its executive director. Following her career in the YWCA, Carole took a new path as the owner of the Stress Management Institute of Therapeutic Massage in Columbia for the next twenty-three years before her retirement. Carole was a social justice activist throughout her life; she was president of the Columbia chapter of the National Organization for Women, board member of the South Carolina Gay and Lesbian Business Guild, a past delegate for South Carolina Equality, a board member for the South Carolina Council on Aging, a board member for Old Lesbians Organizing for Change, and a member of that organization’s national steering committee. Candace Chellew-Hodge, Harriet Hancock, Deborah Hawkins, Linda Ketner, Nekki Shutt, Carole Stoneking — these are a few of my wonder women, southern style who began a fight for themselves and for those who will come after them and sought to honor those who came before them. The fight took place in a conservative, sometimes hostile, environment but these women persevered in their own battlefields to win some of the fights, lose others, but know that the fight was a virtuous thing. We do, indeed, have more battles ahead, but I also predict we will win. Onward.